862 Taft Court Palm Beach Gardens, Fl 33410 has been sold. You can view available homes in Evergrene. BEAUTIFULLY MAINTAINED CYPRESS MODEL WITH 5 BEDROOMS PLUS LOFT OVERLOOKING A LUSH PRESERVE. MASTER SUITE IS ON FIRST LEVEL, ALL OTHER BEDROOMS UPSTAIRS. GRANITE COUNTERS IN KITCHEN & BATHROOMS, DIAGONAL TILE IN ALL LIVING AREAS, PLANTATION SHUTTERS & DESIGNER PAINT ARE JUST SOME OF THE WOW FACTORS. SPACIOUS TREED BACKYARD WITH PRESERVE VIEWS. COVERED AND SCREENED PORCH. BRICK PAVERLOCK DRIVEWAY. 2 ZONED A/C SYSTEM. 5TH BEDROOM CURRENTLY BEING USED AS GAME ROOM WITH NO CLOSET BUT ROOM FOR ONE. EVERGRENE IS A UNIQUE COMMUNITY CONSISTING OF 58 ACRES OF LAKES, OVER 81 ACRES OF GREEN SPACE, AND TRUELY A STATE-OF-THE-ART 12,000 SQ. FT CLUB HOUSE FEATURING A RESORT STYLE POOL, AEROBICS, AND ATHLETIC ROOMS. THE AMENITIES HERE ARE SECOND TO NONE! 862 Taft Court located in Palm Beach Gardens, FL is a single family home with 5 bedrooms, 3 full baths and 1 half baths.The Home at 862 Taft Court was built in 2005 in Evergrene and offers a 2 car garage. This Evergrene Home offers pool, tennis, bike - jog, clubhouse, basketball, exercise room, game room, library, spa-hot tub, picnic area, sidewalk, billiards, business center, manager on site, putting green. 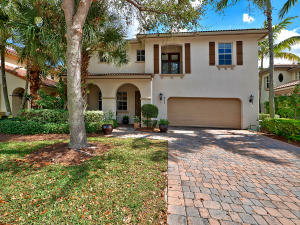 862 Taft Court Palm Beach Gardens, Fl is currently listed for $575,000 under the MLS# RX-10313871. This Home has been put on the Palm Beach Gardens MLS system and currently has a status of SLD.